The crypto space seems to be expanding fast, and XRP as one of the top cryptos is gaining a lot of traction in terms of both popularity and adoption. That’s not to say that this market hasn’t seen its crazy as well as fine days. The events of November 15 are still fresh in the memories of most market players. That’s the day the bears did real damage to the market. Roughly two weeks after the fateful BCH civil war took the crypto market by surprise and threw it off a cliff, things are finally starting to look up and XRP is in the camp leading the bullish charge. One interesting fact about the recent bearish trend is that it almost seemed to favor XRP. While some cryptos like Ethereum lost upwards of 50% of their previous value and sizeable chunks of their market cap, XRP held on fast – although it lost something too. It even battled to retain a noticeable market cap that ultimately surpassed that of Ethereum. Just a few days after the market crash, XRP was more than $4 billion ahead of Ethereum in market capitalization. That’s how the crypto ended up snatching the number two spot from Ethereum. Ethereum has since trailed behind XRP, and although the market has finally turned bullish, the crypto is yet to show any signs of reclaiming its position. Like most of other cryptos, XRP has caught on and joined the apparent bull run that marks the end of the BCH hash war between Craig Wright’s BCH SV and Roger Ver and Jihan Wu’s BCH ABC. The latter has won the war and taken the original BCH designation. The end of this crash means that crypto prices are finally bumping up. 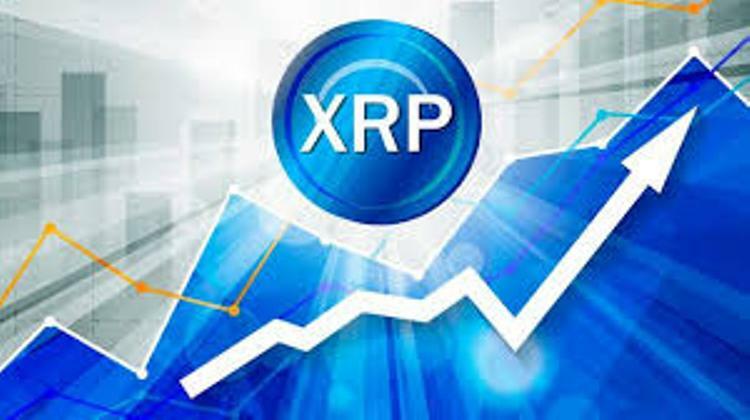 Being a top crypto, XRP has already gained 14% to reclaim the $0.398 threshold just a step away from $0.4. If the bulls persist in the charge, the crypto could very possibly get back up to the $0.5+ in the coming hours or days. That’s the range it had entered right before things went south on November 15th. Overall, the market seems to be doing well gaining some strength after the recent vicious bear attack. At the time of this writing, the total market cap has recovered to $141 billion and is still going up as some cryptos like XRP, Bitcoin, Ethereum, among others in the top chart score double-digit percentages in price gains. Now that the bulls seem to be gaining ground, there’s no telling where the trend might end. Things might even heat up and turn into a major bull run right into December.